Have you ever wondered how some people can shoot to the top of their field so quickly? It happens everywhere, not just in your line of business. For instance, Bruno Mars rocketed to the top of the music world. Since releasing his first album in 2010, the two-time Grammy-winning artist has landed five number-one singles on the Billboard charts. That’s faster than any other male singer since Elvis Presley. At 28 years old, not only did he smash records by being the youngest headline performer ever to grace the coveted Super Bowl halftime stage, but he also attracted the largest audience in Super Bowl history. He’s achieved all these remarkable milestones because he’s got a massive audience of raving fans (yours truly included). And to quickly build your own fan base, you should totally study his career as if it were a blueprint. After all, Bruno Mars is in the same business you’re in. One that lives and dies by the fans and their level of engagement with what you produce. While Bruno’s career has shot to the moon with meteoric speed, he’s actually been hard at work on it for many years. This included making strategic moves early on to position himself for long-term success. For instance, in 2011 he turned down multiple offers to open for big-name acts on arena tours in favor of playing smaller, more intimate venues – with building a fan base as his goal. 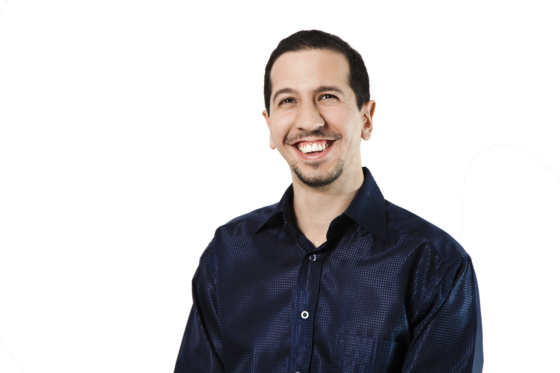 He’s a certified audience builder, which makes him very qualified to teach you how to build a fan base for your business. So let’s pull back the curtain to reveal Bruno’s key secrets to get your fans raving. Bruno Mars has been a long-time student of musical greats, and what they did to delight their audiences. Never stop being a raving fan and a student. Study those who have succeeded at what you do, or what you need to do well to best serve your customers. This may mean reading books, going to conferences, taking courses, or paying close attention to the actions of those at the top of their game. Your quest in studying how to become better will pay handsome dividends. Make a list of three to five of the most successful people in your field. Then identify what they consistently do that makes their audiences respond so favorably. Spot the trends, and then choose one specific action to apply in your business. Bruno may sing about being lazy, but he’s certainly no slacker. He began his 10,000 hours in performing when he was four. You have to put in the work. You have to practice your craft. There’s no way around this. You must spend time working on getting insanely good at what you do. And if you didn’t start at four years old, don’t worry. It’s never too late to get started. The best way to improve your skills quickly is to work on your craft every day. So if you’re a writer, write every day. If you’re a teacher, teach every day. It’ll make a massive difference. Bruno Mars is living his dream, doing work that he loves and always wanted to do. And while he’s living his dream, he makes sure to have tons of fun with it. Your business requires a ton of your time and energy. So why not have fun while you work? Besides, fun is contagious and your customers can feel when you truly enjoy what you do. And when you love what you do, in those times when the going gets tough, you’ll keep pushing. Because you love it. So spend as much time as possible doing work you love. Take notice of the actions in your business that give you the most joy. The ones that make you feel all warm, fuzzy, and alive inside. Then make a list of the things you do that zap all the life out of you. At about 18 years old, the proverbial light bulb came on with regard to how important writing would be to Bruno’s career. Competition for your customers’ attention is fierce. So learn new skills to increase your attractiveness to your audience. For example, if you are a top-notch strategist, spend time learning how to be an excellent copywriter as well so you can better communicate your value to your raving fans. Once you’ve declared your core skill, identify an additional element that will be essential to build a stronger connection with your audience. Then devote at least thirty minutes a day for the next month studying and practicing how to master that element. Mars signed with Motown early, but was soon dropped. He later reflected on the reasons behind those early struggles in his career. Your audience needs you. Not a clone, and not a watered down version of someone else. They need that unique form of awesomeness that only you can bring. Others may feel it’s too unconventional, or it’s too hard to characterize, or it’s too this or not enough that. That’s ok.
Don’t force yourself to fit into a specific box, or any box for that matter! Build the business that’s best suited to highlight the best of who you are. The customers who appreciate the kind of awesomeness you ooze will flock to you. Write down three things that make you different from other available options to meet your customers’ needs. Next, write down at least one reason why those levels of uniqueness matter to your audience. Then give yourself a high-five for being so awesome. Whenever he performs, Bruno Mars owns the stage. He’s quite sure of himself, and his abilities to please a crowd. And it shows. Your customers need and expect you to be confident in what you do for them. If you don’t believe in yourself and what you can do, why should they? The best way to improve your self-confidence is to be prepared (see secret #2). By doing so, you’ll give yourself the shots of confidence you need to own your stage. For your next gig with your audience – be it a customer meeting, presentation, or blog post – write down two markers of success that will signal that you’re ready to knock your performance out of the park. Perhaps it’s spending ten hours on a blog post, or getting a thumbs-up from your mentor or coach. Then make sure you allow plenty of time to hit those markers. 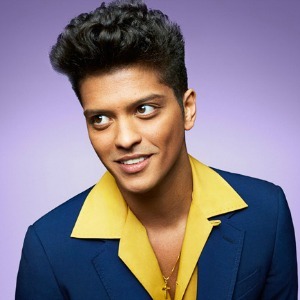 Before launching his solo career, Bruno Mars made a name for himself by writing hit songs for other popular artists, including Cee-lo Green (F*@! you), Travie McCoy (Billionaire), and B.o.B. (Nothin’ on you). Sometimes success comes more quickly when you step out of the spotlight to help other people achieve their dreams. And you might be surprised by the number of doors that open up for you when you do. So don’t be afraid to take a broader view of your business to transform yourself into the producer, instead of just the artist. Brainstorm three ways you can showcase the talents of others in your field. Perhaps it’s curating content on your blog, sharing others people’s work via social media, or using your podcast to interview people doing great things. Then pick one idea and start implementing it. Collaborations have long been a key ingredient to Bruno Mars’ formula for success. And he proved that once again by choosing to share the biggest television stage in the world with another band. Sure, you can go quite a ways on your own. But you’ll get further faster when you work with others. So don’t go it alone. Network, collaborate, and build partnerships that will expand your reach, and enhance the delight you deliver to your audience. Make a list of three to five people who also serve your customers. Then build a relationship with them by having a coffee, Skype chat, or laser tag match. As you spend time with them, brainstorm some ways you can work together to add value to both sets of customers. Bruno Mars is known for dazzling his audiences wherever he performs, no matter the size of the venue. Any chance you get to be in front of an audience, delight them. Give it all you’ve got. Don’t take short cuts. Don’t phone it in. Don’t give anything less than your best. No matter what size the audience is. The people who are receiving what you’re giving deserve your best. And you never know who’s watching. Before your next gig with your audience, write down how you want them to feel during and after their time with you (note: you want them to love you). Then build a plan to deliver an experience that makes your customers fall head over heels for you. Then repeat for the next gig. And again for the one after that. Remember. Success isn’t limited to a select few. You don’t have to be born into any special circles, have particularly great looks, or have rock-star hair. You just have to put in the right work. Tirelessly. Strategically. And passionately. Then your star will shine. You’ll be the one with the raving fans, and everyone will want to know your story. Ready to go to Mars? Choose at least one item from the list above to implement today. Then let me know what that is in the comments. That way we can all watch and cheer you along as your star rises. Sonia Thompson is the founder of TRY Business where she's on a mission to help entrepreneurs like you build your dream business that keeps your customers coming back for more. Jump on her free 7-part "Get Your Customers to Love You eCourse. Then follow her on Twitter (@TRYBusiness) or Google+. Great article! Thanks for posting. I’m going to print it out and go over it again. Stephanie – isn’t it cool how we can find role models everywhere? Glad you enjoyed the post, and hope you can take something and make it work for you. very good examples – both, the “role model” you chose and the points of what it takes. In the end it´s the same we all need to do and your tips are greatly chosen as a vivd explanation! Thanks Sonia for the action packed read this morning. Just the boost I need. My first task after reading your blog to listen to Bruno Mars! Time to expand my music repertoire. For the next month I am going to focus on #2 & #4. I have been a little slack lately about writing, so my one month plan begins today. In addition I am going to add to #4 and learn more about using Twitter and Facebook effectively. Right now I just dabble but it is time to really connect with my audience. I have printed a copy of your blog to keep handy to future reference. Hey Carolynne – thanks for stopping by! #2 and #4 are great places to start, and they go hand in hand to really setting the foundation for creating a competitive advantage for you. Best wishes to you in really devoting the time to it over the next month. Please do keep me posted with how you are progressing. And for a quick intro to Bruno’s music, check out the link in the headline for #5 —> Just the Way You Are was his first hit single. 🙂 Enjoy! Delightful writing style; upbeat and informative. Encourages me to really get active with publishing “my gift of perspective” so others can have their a-ha moments. Hey Virginia – please do start sharing your gift of perspective! As mentioned – the customers who will appreciate the “kind of awesomeness you ooze” are waiting for you. WOW…just awesome information! Almost overwhelming in useable information! My favorite: Don’t force yourself to fit into a specific box, or any box for that matter! Build the business that’s best suited to highlight the best of who you are. The customers who appreciate the kind of awesomeness you ooze will flock to you. I don’t have the ability to “fake” anything…I am who I am,,,,I am very aware of my good points and not so good points and I love the idea of being me! Thank you for an awesome article, I love the way you have great take-aways and action items. So many people don’t give such wonderful help! Thanks Chris – I’m so glad you enjoyed it! I’m really glad to hear that you stay true to who you are. Do you have a good stream of customers who appreciate “the real you”? It’s awesome when that happens. Yes, I do have a few clients who REALLY know me! They started as friends before becoming clients. It is wonderful when it happens….especially since they now trust me to be fair in pricing and they may ask for a rough quote, but never any problems in paying or complaining about the cost. I just need a few dozen more like that! Chris – sounds like you’ve got a good base to work from. Keep up the great work! Hi Sonia – I became an official Bruno Mars fan when I watched him perform during the Super Bowl. He so reminded me of James Brown. I think the most important reminder you gave me is to love my work. When it all feels too overwhelming….all that engagement with so few subscribers, blah, blah, blah…..I need to return to the beginning and remind myself of my love of writing. When I’m of service to others, the rest is just fluff. Thanks. Hey Marcy – loving your work is soooooo important. It definitely keeps you going when the going gets tough, and you need something to keep you pushing forward. People can feel when there is love baked into whatever you are doing – so here’s to your readers loving your writing just as much as you love writing for them! Hi Sonia – The Bruno Mars angle in your article is especially relevant to me. I am both a musician and a coach and this information is a close fit for me and my audience too. I see a lot of interrelationships among the 9 secrets. For Secret #1, what is most satisfying for musicians is to ‘connect’ with their audience. Get on top of how this is done and Secrets #3, #5, #6, and #9 all fall into place. PS: I’m loving your “95 Ways to Get Your Customers to Love You” eBook! Hey Aaron – glad you enjoyed the post and the eBook! You are right – a lot of these points are easily linked, in terms of once you get humming with one, it helps a lot with the others. They have a nice synergy to them, once you really get going working at them. Looking forward to hearing about how you make all this work for your business! Sonia – I love that step 1 is staying in school. The second you stop learning, your in trouble. Keep up the good work! Darren – yep, if you stop studying and practicing you’ll be up a creek for sure! I have been blown away by the angle of your post, Sonia. ‘The Mars’ story is all about following your passion and, when the going gets tough, getting your passion to follow you’. Thanks Terence! Yep – when you’re doing something you love, something you’re passionate about – it really does help you get through those sometimes low and tough points. It’s very necessary because we all experience that at times. Thanks for this great article! We need MORE rags to riches stories, because sometimes you get really low, figuring that the path to the top is impossibly hard. But when people like Bruno share their experience, it really brings the spirits up! Glad you enjoyed it Griffin. Yeah, sometimes when things don’t take off as quickly as we want them to, it is really helpful to get inspired by the successes of others to propel us forward, and use as an example to follow. Building a business is tough, but we can all do it! Thank you Sonia. What a great content with a unique writing style. Very useful and practical tips that we can start doing right now! Generosity has always been rewarded. It might not be at the exact time when you help a person: but sooner or later, it will come back to you. We all know that people who have success in their lives are people who make it all about helping other people; not all about themselves. And Bruno Mars seems to be a great example of generosity. Hey Fabienne – thanks so much for your comment! You’re right, we absolutely reap what we sow. And when what we sow is generosity, good things definitely come back our way. I am going to print this out and read it at least once a week while planning my goals. The idea I have implemented for the last two years is to collaborate, be kind and give to others first. That has helped me garner people who are in my corner and offer honesty and trust in my endeavors. Hey Sherry – I’m so glad you found this post helpful! I’m glad that you’re goodwill has served you so well. Being collaborative, kind, and giving are great things to do in general, but the rewards that come along with it are pretty sweet. I saw this post up in Jon’s program, you did a pretty fantastic job with it congratulations. I especially agree with your points on helping others first before trying to go solo, every new venture needs a strong foundation to build on, and this often takes time and work behind the scenes. Hey Paul – thanks so much for the feedback and for taking the time to stop by and leave a comment! You are so right – it does take a ton of time to build a strong foundation for you business – so we definitely need other people in our corner. The more you help, the more you learn. And the experience of doing good for others, will only put you in a better position when its time to put yourself out there. We’ve come full circle, Sonia. I read this article last year, I guess. It was my introduction to you. I was already receiving from Seth Godin & Henneke. Small world, boundless universe. Glad I share it with everyone. Two words can only describe this post, simply amazing! From the beginning it had me hooked. As far, as I go in my niche the mountain is pretty high that I have to climb to be seen. With that being said, im keeping my head held high, and my goals reachable. Hey Jason – thanks so much for your kind words! I’m so glad you enjoyed the post. I’m glad you keeping your spirits lifted with goals to get you to your destination. It’s important to hit milestones along the way to keep us moving. Jason I adore your spirit as a mountain climber, rising above the din. In the bee kingdom, or Queendom, I hear she flies high into the sky & only the strongest drone can reach her. He’s rewarded with the passing of his Eternal Essence on.